Students at St. Helens High School will debut their fall performance of "Play On!" this week. The Rick Abbot production is a comedy about a play within a play, which poses the question, "What happens to a play when everything that can go wrong, does?" a press release from the high school states. 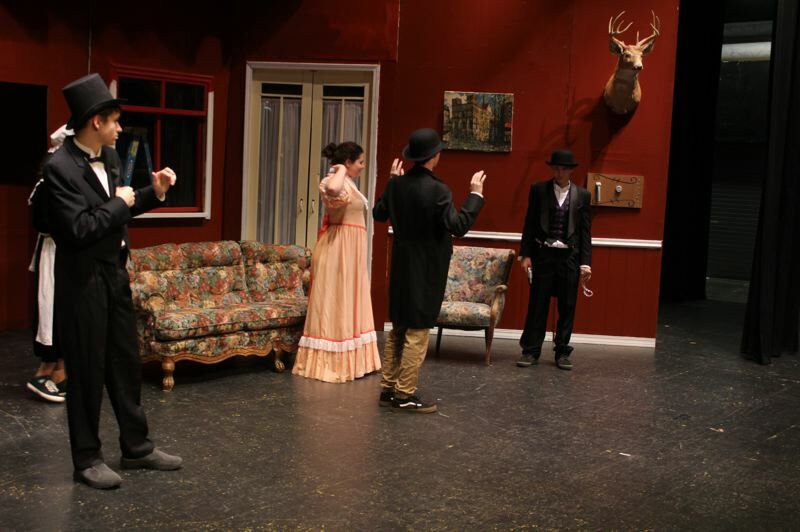 Pictured here, students act out one of the scenes from the play within the play. A cast of 10 students will perform in the show. Showings will be held at St. Helens High School in Olmscheid Auditorium Nov. 1-3 at 7 p.m. A matinee will also be held at 2 p.m. on Saturday, Nov. 3. Tickets are $7 and can be purchased at the door 30 minutes before showtime.